Already losing track of your new year resolutions? Help! In the beginning of the year, I usually will have this gigantic vision of what I would like to achieve in this new year. 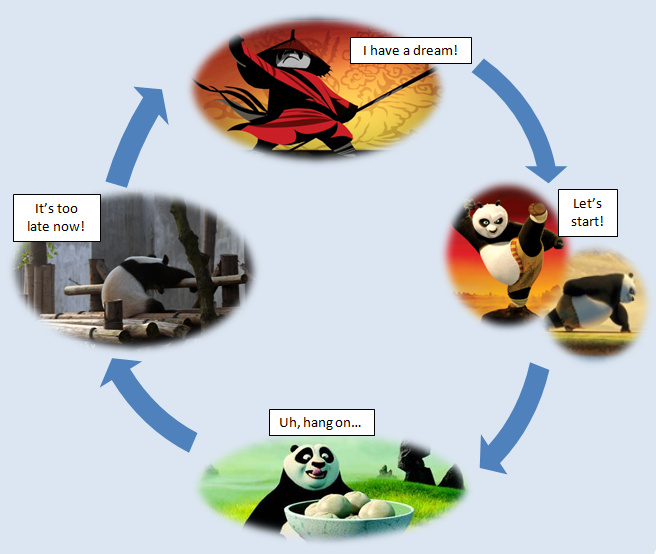 However, over the years, I realise that my mentality is very much similar to the Panda in the beginning of the Kung Fu Panda movie. My vision simply gets recycled and goes round and round year after year. – Make up my mind and get started! Will the outcome changes this time? Yes? No? Regardless, I’m giving it a shot! Previous Post Can being ‘optimistic’ help you in your life and career?